Last time Seattle audiences saw mezzo-soprano Cecelia Hall, she was 30 feet in the air. 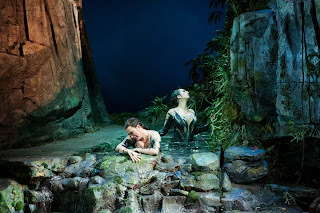 As one of the Rhine Daughters in Wagner’s epic Ring, she underwent several months of intense, physical training to be able to “swim” through the air with the grace of a mermaid. 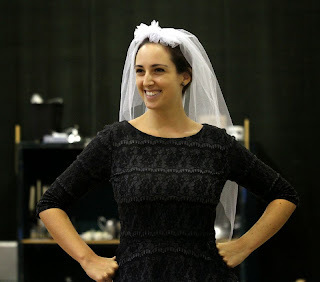 She returns to Seattle for Don Giovanni, to sing the role of Zerlina, a beautiful peasant girl with eyes for the Don (despite that it's her wedding day!). 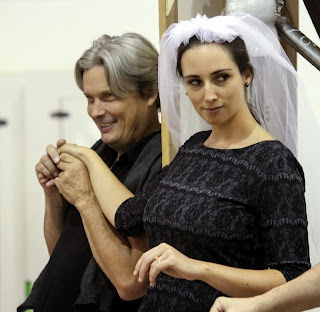 Hall, a Juilliard graduate with an impressive, young career, talks to us about working with her former professor and mentor, Stephen Wadsworth (also, director of Seattle Opera’s Ring), the timeless archetypes in Mozart’s masterpiece, and her approach to acting. Cecelia Hall sings a passage from Zerlina's aria "Vedrai, carino"
From the mythic, larger-than-life world of Wagner, to Mozart’s timeless classic set in Seville, Spain— your latest Seattle Opera role is a big change from your last one! Yes! Now, I am on the ground the whole time [laughs]. You can’t get much more different than Wagner and Mozart; musically, they’re two different landscapes. In the Ring, I was very much part of this epic ensemble—putting on that production was a real undertaking. 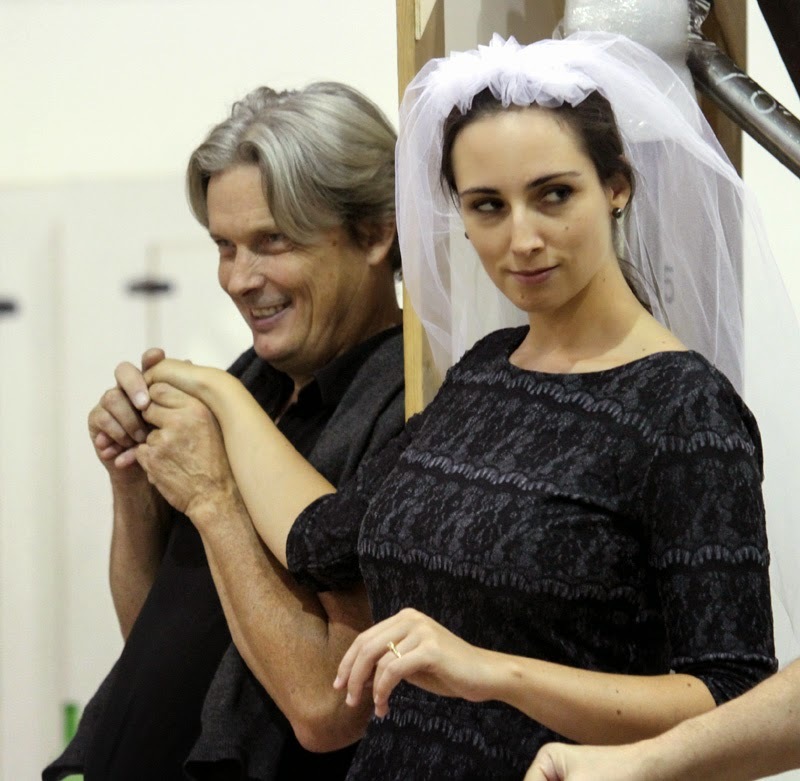 Obviously, Don Giovanni is still an undertaking, but it has fewer characters; there’s a lovely intimacy about this show. You get to see a few relatable, human characters reacting in extreme situations. You also get to see how they grow as individuals. You’re a mezzo, but Zerlina is sometimes a soprano; do you find this comfortable vocally? Also, is there an advantage to having a mezzo sing the part? Zerlina—I find her to be a really earthy girl. She’s of a lower class than the other women in the show. She has this simplicity to her. It doesn’t come from a place of ignorance or unintelligence, but rather, from a sort of spontaneity. She’s comfortable in her sexuality and in her own skin. Many sopranos are very successful in the role, but I find that the warmth of a mezzo color can help bring that sensuality to this part. In terms of acting, what have you learned from Stephen Wadsworth? Have you carried any of that into your work with other directors and other productions? I spent two years in the Artist Diploma Program at Juilliard where I worked with Stephen. The acting for singers in that program is wonderful. I’ve done several shows with Stephen at Seattle Opera, Juilliard, and at The Met. To be in his class and in his shows has transformed the way I think about my craft, as well as the tools I use. What Stephen has taught me helps me every day in my career. You find ways to relate deeply to the character you’re playing, so you can bring all of your life experience to the situations that she finds herself in. This allows for a uniquely honest portrayal; you’re not acting, as in, a stereotypical characterization of a two-dimensional character. Instead, you’re taking your own personhood and allowing a more human response to happen. When we as people go through our days, we’re not thinking: “sadness,” “happiness,” etc. We’re thinking, “What am I going to do about that big party I’m planning?” or “I’m stressed about my relationship with my mom.” And these thoughts translate into emotions. Stephen has a way of teaching stage craft so that we understand how to apply our humanness. So, when Zerlina is thinking, “My husband is so angry at me,” that’s going to inspire anger, anxiety and worry—it comes from a flowing, moving, train of thought. Why does Zerlina ask Masetto to beat her? They have a fiery, passionate relationship that can get heated. Have you seen that Häagen-Dazs cream commercial with the husband who comes home? It’s all in Italian. The couple starts out fighting. But then, he’s brought this ice cream home and they quickly become all lovey dovey—but then, before you know it, they’re fighting again! I think this is the norm for Zerlina and Masetto; however, they’ve never had anything threaten their relationship as much as Don Giovanni does. Masetto is hurt, and he shows a side of himself that’s both cruel, and a little cold. That scares Zerlina into thinking she’s going to lose him. I think she knows he would never actually hurt her. So, she says, “Do whatever you want to me. I’m yours. All I want to do is make up.” And it works. What’s your particular take on Zerlina? She is a very outgoing, spontaneous and strong woman. I try to cultivate those reactions to the situations she’s in. So, instead of a subtle weighing of options that might be my own default, when I’m playing Zerlina, I like to approach everything with a straightforwardness. Sometimes the character that I’m playing onstage actually affects my own behavior in real life.